Susan Owen is responsible for overseeing the day-to-day operations of the Airplay Verification department, with an eye on the research and product development that will continue to grow these tools in the future. In her role, Susan ensures that clients receive the thorough and accurate information they have come to expect from the Airplay Verification products, but adds the discerning eye of a former client to enhance the relevance of the products to current and future clients. Prior to joining Millenia 3, Susan has thorough experience on the client side, having managed media production and deployment for a group of major cable networks for six years. Being immersed in the daily operations of a large TV marketing department has given her unique insights into the priorities, concerns and methods of the client. 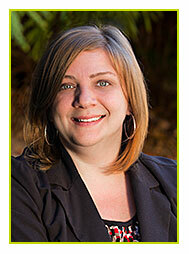 Susan also recently completed her Bachelors degree in Marketing & Advertising from The Art Institute. Her unique education and career credentials make her an ideal fit for her Department’s business operations and the continued development of Millenia 3’s client need-based products. The daughter of two career broadcasters, Susan Owen’s passion for television, media, and the entertainment business started before she could read or write. Susan’s first on-air experience came while she was still in pre-school, interrupting her father reading a Coca-Cola sponsor billboard by announcing, “My daddy drinks Pepsi!” to all the radio listeners. 25 years later, Susan’s early exposure to the business has evolved into a full-fledged passion, having immersed herself in the industry while embracing both the love of as well as the “knack” for the broadcast media industry that was passed down from her parents.